Through the 400 km of channels, one starts to encounter the famous "Green Venice" near Niort, dried marsh with small bridges and comely locks, and the Aiguillon Bay and its nature reserve . The marsh offers different landscapes, shaped by man and nature, where nature lovers may find peace and serenity. 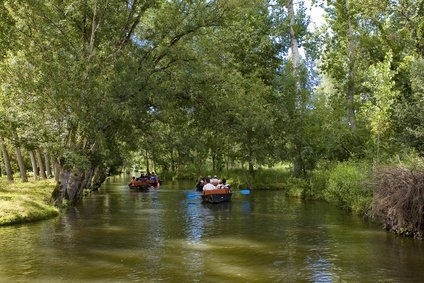 The Marais Poitevin is also a paradise for wildlife. The marsh is home to eels, which became its emblem, as well as pike, zander, perch, tench, carp, roach, gudgeon ... The marsh also provides shelters to many birds such as herons, binhoreau, kingfisher, woodpecker, oriole... but also the coypu which poses some problems of nuisance in the banks. To discover this wide range of flora and fauna, and green out of sight, nothing is better than taking the boat with or without a guide. A total immersion in the heart of nature. Info: West Appart?Hôtel is a 5-minute drive from the centre of Bessines and 100 metres from a kart circuit where guests can enjoy a free race. It offers self-catering apartments and studios, a garden and free Wi-Fi access. Info: Located in Niort, Reix Hotel offers a garden with an outdoor swimming pool. Guests will also find a terrace and relax in the on-site sauna at an extra cost. 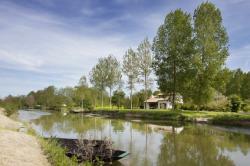 Info: Situated in the scenic town of Coulon, Hotel au Marais is set alongside the Sèvre Niortaise Canal. It offers en suite rooms with free Wi-Fi and a sunny terrace with outdoor seating. Info: Located in the heart of Coulon, a 15-minute drive from Niort, Le Central offers spacious rooms and an on-site restaurant with an outdoor terrace. Free Wi-Fi access is provided.